iOS 6 i snow available for download for all iPhones starting from iPhone 3gs and the iPad 2 and The new iPad. 4th and 5th generation iPod touch devices will also be compatible. This update has come close on the heals of the iPhone 5 announcement giving the owners of old devices something to cheer about. iOS 6 Maps application with turn by turn voice navigation and 3D views. Siri updated to support The new iPad and also adds more language support. Facetime now possible over cellular data. Improved camera app with Panorama. Leave your comments on what features you like in this update. Galaxy S3 with ICS is already a very polished device. 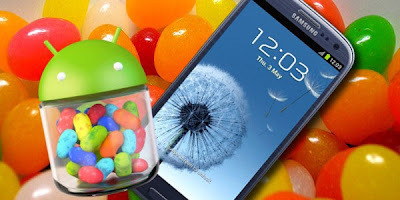 The Jelly Bean update with its numerous performance and stability improvements is going to make the S3 an even more desirable one. There is already a leaked jelly bean ROM here that looks very promising. The OTA update must hit the devices anytime within the next couple of weeks .i.e if rumours are to be beleived and also now that the ROM has been leaked.